It is often said that ‘too many cooks spoil the broth’ but sometimes when doing business ‘two heads are better than one’. Starting up a business may not be as easy as you wish, as you may have the skill but not the resources or you may have the resources but not the skill. Because two heads are better than one, you may want to consider entering into a Joint Venture Agreement (“JVA”) with a viable business partner. A joint venture is an arrangement entered into by two or more legal persons for the purpose of a specific project or business activity. Often the joint venture creates a separate business entity, to which the parties contribute assets and agree on how the entity should be managed. Why is a JVA right for you? Strategically associating yourself with others can result in business efficiency and support. However, before moving forward with a joint venture arrangement, you should ensure that you and your business partner are on the same page. Executing a JVA can secure both the safety of your investment and the business to come. A JVA is a key component of any joint venture arrangement as it outlines each party’s expectations. What are some of the important things to consider and include in a JVA? A JVA should clearly identify the parties to the agreement, whether they are contracting in their personal capacities as individuals or as established businesses/companies. The purpose of the joint venture should also be clearly identified as well as the scope, stating what activities are intended to be covered by the venture and, where necessary, those which are excluded. The term of the arrangement should be identified and agreed by the parties, be it for a fixed term or an indefinite period. The agreement should also identify whether the joint venture will be formed by creating a new entity such as a joint venture company, by establishing a partnership or by some other means. The operation of the joint venture will require contributions from all parties and it is therefore important to identify what form the capital contribution of each party will take (real property, value of skills, provisions of services, etc), how and when the contributions should be made and in what proportions. How contributions are made to the venture may have an impact on how you wish to split any profits, whether it is in the proportion of the capital contributions given or in an agreed ratio be it 50/50 or 60/40. In the same vein, how liabilities should be handled and the limit covered by each party, if necessary, should be included. Like any other business arrangement, each party’s responsibilities should also be decided and identified in the JVA. Who will be in charge of the day to day management of the venture should be stated so that the scope of their obligations is clear. The agreement should also outline each party’s rights and obligations as thoroughly as possible. The agreement should speak to how information is identified as confidential and for how long confidentiality shall exist. This clause is crucial in order to protect any trade and commercial secrets that may be disclosed during the venture or acquired by either party because of discussions in relation to the venture. The JVA should identify rules or guidelines for governance and a procedure for making decisions in relation to the business. For example if it is decided that the venture will be governed by a board of directors appointed by the parties, the agreement should specify what decisions require board approval and by what percentage vote, how to deal with deadlock, how often the board will meet, who will chair and how meetings are to be held. In this regard, you should consider: How will auditors and accountants be chosen? What expenses will need to be pre-approved by the parties or the board? What is the limit of loans that can be taken without board approval? The answers to all of these questions should be in your JVA. Because a joint venture is separate from the parties who enter into it and their other business interests, the agreement may also account for what is allowed to be done outside of the joint venture arrangement. For example, the agreement should include where appropriate how any branding, intellectual property and products/services created during the joint venture can or cannot be used by each party outside of the joint venture. One should always contemplate the possibility that despite the parties’ best intentions too many cooks may spoil the broth. As such, your JVA should always include an exit strategy. It should state what actions will lead to an automatic termination of the joint venture or what steps a party may take if that party wishes to initiate a termination. While the matters listed above are crucial for the drafting of a JVA this list is not exhaustive. A JVA should be specifically tailored to the type of business being entered into and the parties entering into it. Every circumstance varies; a JVA is not a ‘one size fits all’. Whether you are an individual, Micro, Small or Medium Enterprise or large corporation purporting to enter into a joint venture arrangement, you should undertake the process of finalising the JVA with care. It is therefore recommended that you acquire the assistance of an attorney to ensure both you and your interests are protected. 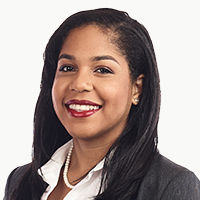 Shaniel May is an Associate at Myers, Fletcher & Gordon and is a member of the firm's Commercial Department. Shaniel may be contacted via shaniel.may@mfg.com.jm or www.myersfletcher.com. This article is for general information purposes only and does not constitute legal advice.